The most controversial movie of the 2018 Oscars season is Three Billboards Outside Ebbing, Missouri. Despite that, the film racked up seven Academy Award nominations. If you haven’t seen it, you’ll want to watch it to understand not only the backlash, but the reason it’s so acclaimed (it’s the frontrunner in two of the acting categories). You have a few options to stream Three Billboards Outside Ebbing, Missouri, before the Oscars, but you’re gonna have to pay for them. Depending on where you land on the interpretation of the film, it might be worth it. For the 2018 Academy Awards on March 4th, Three Billboards is nominated for Best Picture, Best Actress, Best Supporting Actor (twice — one nomination for Sam Rockwell and one for Woody Harrelson), Best Original Score, Best Original Screenplay, and Best Editing. According to GoldDerby, Frances McDormand and Sam Rockwell are predicted to win Best Actress and Best Supporting Actor, and there’s no denying the power of their performances. Actually, Rockwell’s character is the main reason for most of the backlash against Three Billboards. But if the negativity surrounding his character, Officer Dixon, doesn’t influence Oscars voters, he’s pretty poised to walk home with a statue (sorry, Harrelson) — especially since Rockwell has already won Best Supporting Actor at the Golden Globes and the Screen Actors Guild (SAG) Awards. Besides Rockwell, McDormand has had a pretty epic awards season run so far, also winning at the Globes and the SAG Awards. In order to see these performances for yourself, Three Billboards is still in movie theaters. But if you’re looking to stream it, you can pay $14.99 for Three Billboards on Amazon, iTunes, and YouTube. These streaming options just became available as of February 13th to make your Oscars prep a little easier. 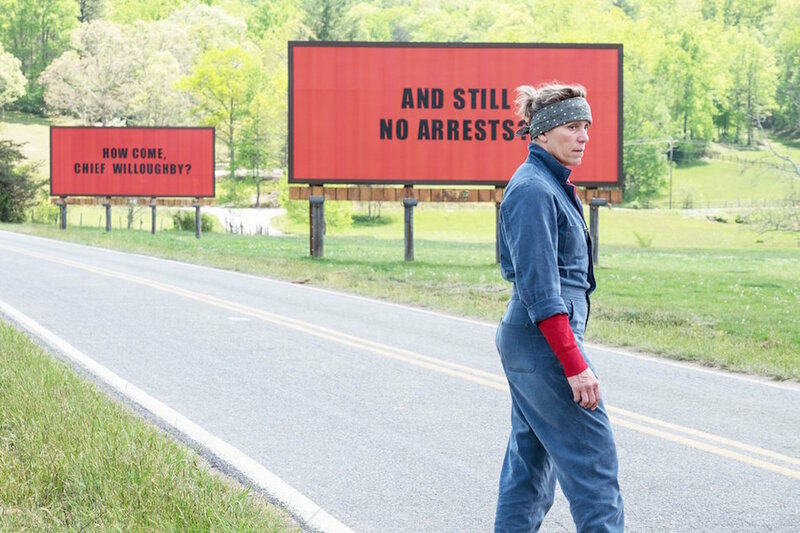 So see what you think of Three Billboards Outside Ebbing, Missouri, yourself — and get prepared for some potential Oscars wins for it.